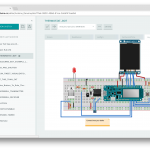 Announced back at Maker Faire Bay Area, the Arduino Web Editor is a new online tool that enables users to write code and upload sketches to any Arduino or Genuino board directly from the browser. Over the last couple of months, we have been gathering feedback from beta testers on the Editor’s overall experience, its features, and what they’d like to see in the future. If you haven’t signed up yet, you can gain access to the Web Editor right away and try it out firsthand! Wondering what makes the new platform more useful and feature-rich than its previous version? The most interesting upgrade is surely the ability to share what you make. Every sketch you create has a unique URL, similarly to Google Docs. 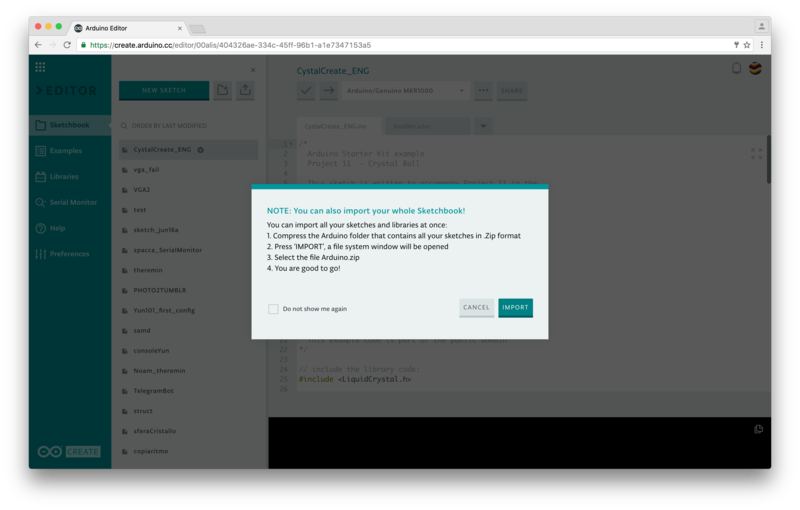 If you give the URL to someone, they will be able to see your code, add it to their Sketchbook in the Cloud or download it. 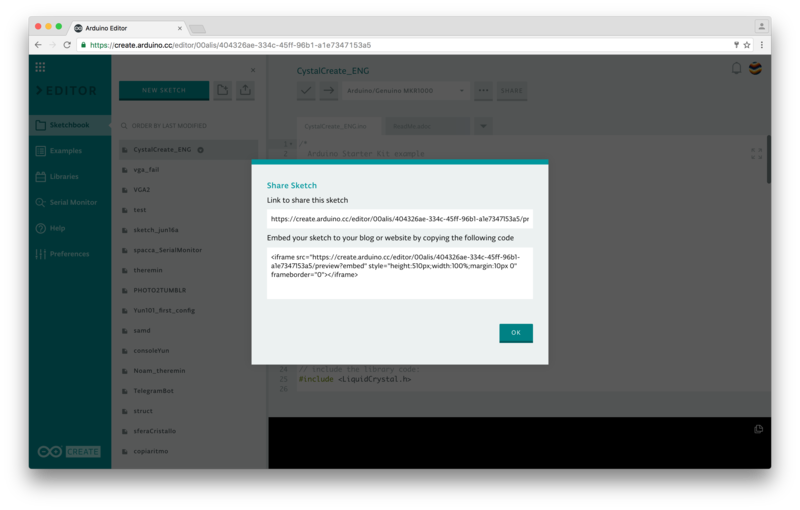 If you write a tutorial on Project Hub and add the link in the Software section, your code will be embedded and will always be up-to-date. We envision the Arduino Sketch as the unit that includes everything you need to bring an idea to life. When someone shares a sketch with you, you’ll now have access both to the code, the layout for the electronics, and the full tutorial (when available). This will allow you to have all the necessary information to build on top of the original project, making it your own. 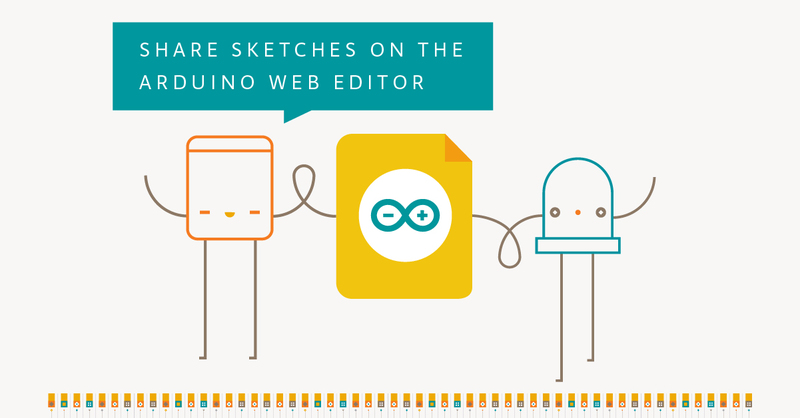 Arduino Web Editor is designed to take the headache out of the development process: your Sketchbook is in the Cloud, available from any device and backed up. 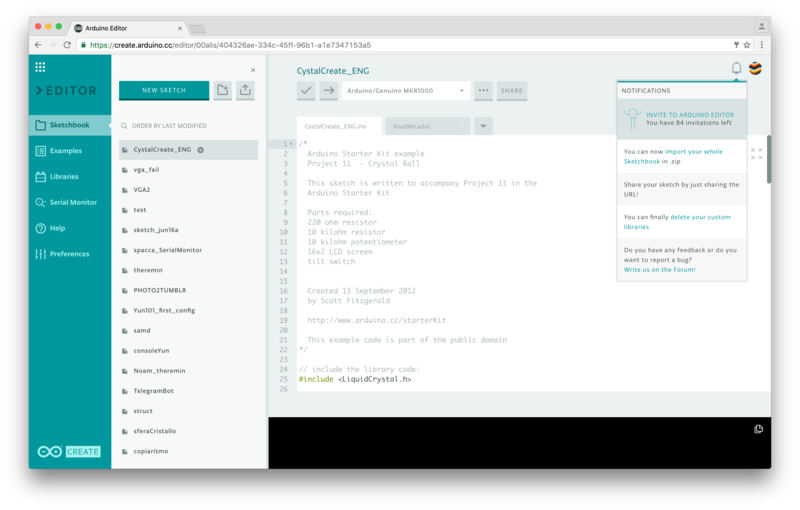 Simply save a .ZIP file of your local one and import it in a click.Meaning, you don’t need to install any additional cores for Arduino and Genuino boards, just install a simple agent, plug your board in and we’ll set it up for you. 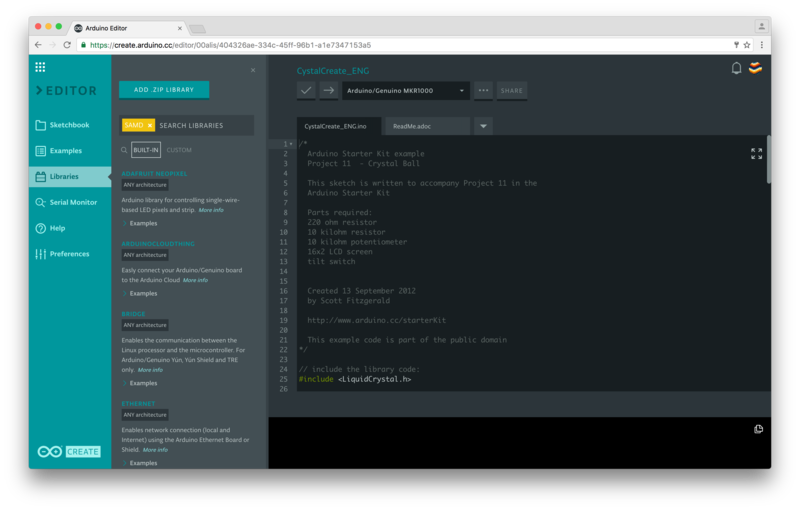 We made the Serial Monitor pretty robust, and of course, you can finally enjoy a dark theme for your IDE. 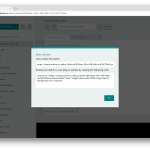 We are currently working on the Library Manager (as you have on the Desktop IDE), and a ‘secret tab’ where you will be able to store all your sensitive data and share them safely. 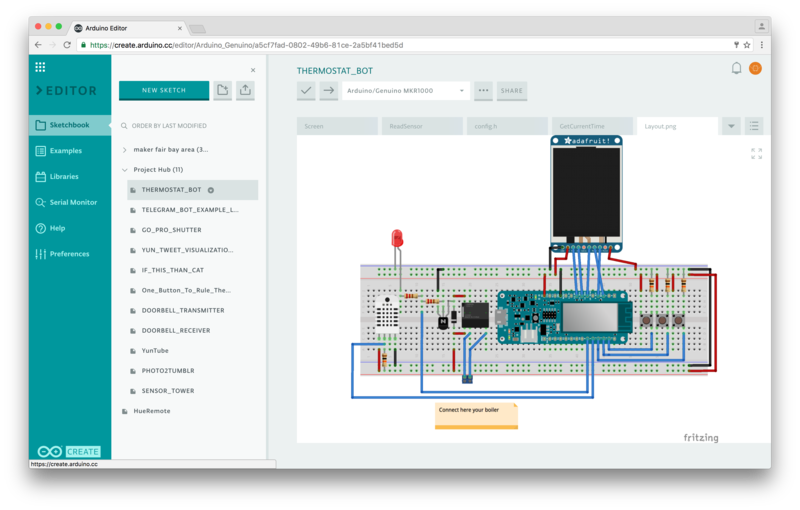 At the moment, all the sketches you create on the Arduino Web Editor are public–anyone with the link can access them. We are also developing a private sketch feature–more on that soon. Interested in learning more? Sign up today and participate in shaping the next generation of Arduino tools! Hi, I downloaded the agent thing to my windows machine from the absurdly named “github”. Your words tell me ” just install a simple agent, plug your board in and we’ll set it up for you.” Sadly nothing happens …………….. Any thoughts? Perhaps it only works on Arduinos and not the Genuine items? Genuino? 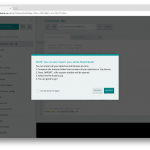 Hi D6equj5W, first of all you need to sign up at https://create.arduino.cc/editor filling a form specifying your Arduino Username and email. 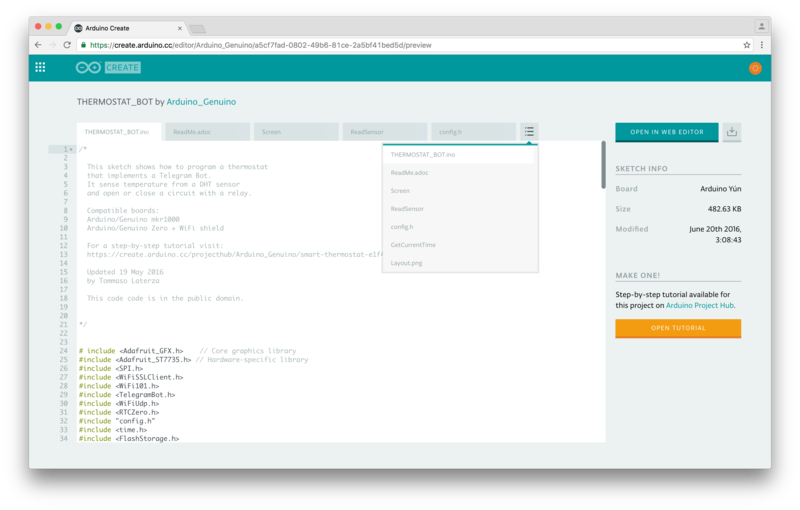 Within 24 hours we will send you an invite to join the Arduino Web Editor and we will guide you through the setup of the agent. 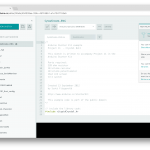 Once you have access to the web editor and the agent correctly installed you could plug any Arduino or Genuino board without worrying about cores and so on. Thanks for your question! I waited long years for this project. Now I can build anywhere in the world and available to my friends my work. We need videos / tutorials to teach us how to use this great tool. How to see the compatible cards?